Last week I started off this series with H. G. Wells, often hailed as the father of Science Fiction. This week we cross the channel to find another author who made just as profound an impression of the genre and particularly on my young impressionable mind. You can probably guess who it is . . . yes it is the spellbinding and awe-inspiring Jules Verne. Author and futur­ist Jules Verne was born on Feb­ru­ary 8, 1828 (d: 24 March, 1905) in Nantes, France. Verne is con­sid­ered the father of gen­eral Sci­ence Fic­tion and he has also been called father of the steam­punk genre. Some of the most famous books from Verne include 20,000 Leagues Under the Sea, Jour­ney To The Cen­ter Of The Earth, and Around The World In 80 Days. Before Verne wrote stories he wrote libretti (lyrics) for operas. When his father found out Jules was involved with the theater, cut him off and Verne became a stockbroker. Although he despised the profession, he was quite good at it. Verne’s friends included nov­el­ists Alexan­dre Dumas and Vic­tor Hugo who advised him on writing. Verne is the sec­ond most trans­lated author in the world (Agatha Christie being #1). In 20,000 Leagues Under the Sea, Cap­tain Nemo trav­els the world in a giant elec­tric sub­ma­rine, the Nau­tilus. The Nautilus predated actual powered submarines by 25 years. In 1886, the first electric powered submarine was name The Nautilus after Verne’s creation. Around The World In 80 Days was actually based on a true story about US railroad magnate George Francis Train who declared in the middle of his Presidential candidacy in 1870 that he would travel around the world in 80 days or less. It took him double the time, but he tried twice more and finally, in 1890 he managed to do it in under 80 days. In 1863 Verne wrote Paris In The 20th Cen­tury, a novel fea­turing high speed trains, cal­cu­la­tors, glass sky­scrap­ers and even a world­wide com­mu­ni­ca­tion net­work (internet?). Unfortunately, Verne’s pub­lisher thought the book was too pes­simistic and didn’t pub­lish it. Verne’s great grand­son dis­cov­ered the book in 1989. Verne traveled very little himself. His only time riding in a balloon lasted 24 minutes. He was shot in 1886 by his mentally ill nephew, Gaston. Of the two shots fired, one missed and the other hit his left leg. Verne had a limp for the rest of his life. How many of these facts did you already know? Did I miss something interesting that you want to add? I’d LOVE to hear from you. Science-fiction fan looking for information on the topic? 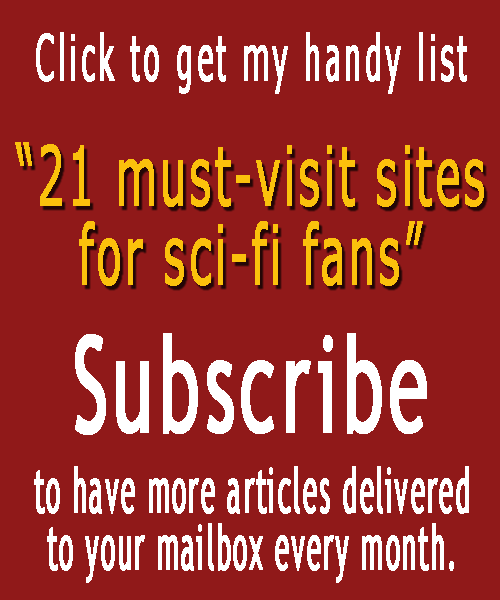 Get my FREE guide to finding the best sci-fi resources on the internet.